At last, I have put up online a final version of what has turned out to be a separate book, The Regulation of Local Lobbying. This free 342-page resource has three parts. The first part explains what local lobbying is, how it differs from lobbying at the state and, especially, the federal levels, and the special characteristics of procurement and land us lobbying. 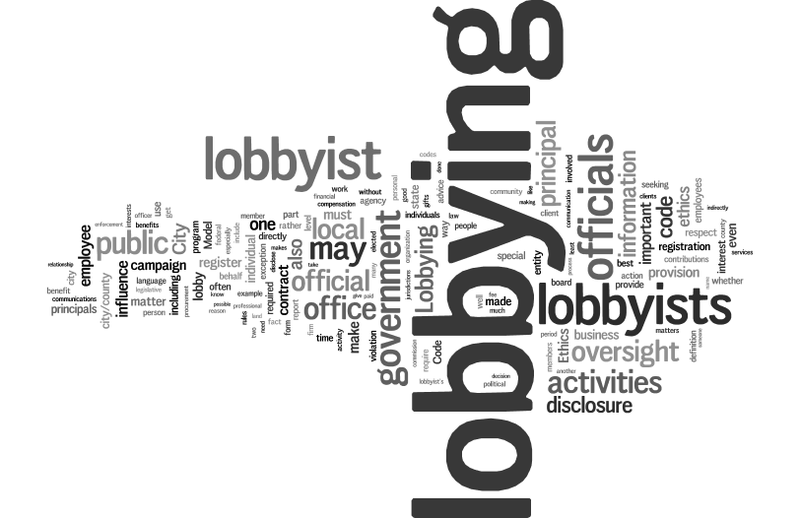 It considers the public's view of lobbying, the connections and reciprocity that are central to lobbying, the history of lobbying and of its regulation, and the value of local lobbying oversight. All in the book's first 43 pages. The bulk of the book involves a detailed examination of the various elements of local lobbying oversight. First and most important are the definitions, especially of "lobbyist" and "lobbying." The breadth and depth of these definitions determine how much lobbying activity by which persons will be disclosed. Second is disclosure, the heart of lobbying oversight. What needs to be disclosed, and when and where, determines whether disclosure is sufficient, accessible, and timely. If it is not all of these, it is of little value, mere window dressing, as is the case in many lobbying oversight programs. Third are lobbyists' obligations and prohibitions, what they are required to do and what they are not allowed to do. This section looks at the obligations and prohibitions of all local lobbying oversight programs. I do not recommend some of the prohibitions, and in some cases I recommend obligations rather than prohibitions. But some programs have valuable but little known obligations and prohibitions that are worth considering. Fourth is the administration of lobbying oversight programs, including such things as training, advice, jurisdiction, powers and duties, websites, and enforcement. The third part of the book is a model local lobbying code that contains best practices. It is remarkable how little has been written about local lobbying. I see this book as a start. I welcome comments on the City Ethics website (such as to this blog post), but what would be best is for scholars and practitioners to create a literature on the topic, leading to recommended best practices and information that will make the disclosure and oversight of local lobbying far more common than it is today.